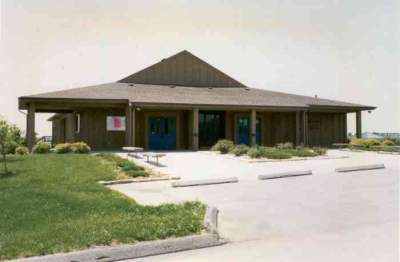 May 25, 1995 was the starting date for the third season at Mahoney State Park. 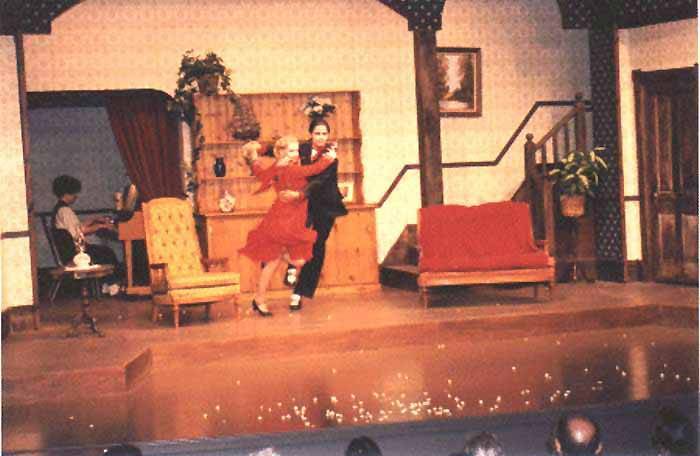 There were no scheduling changes from the previous season of approximately 140 performances. Our supply of seven person shows of approximately 1 hr.15 min. 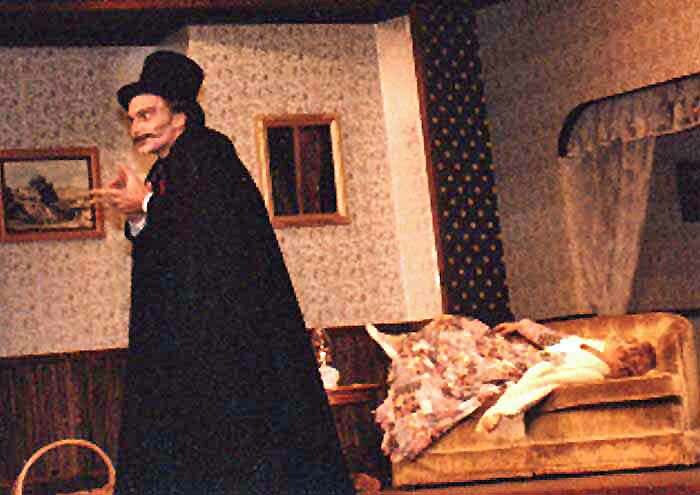 duration was still low, so two melodramas written by local authors were produced. 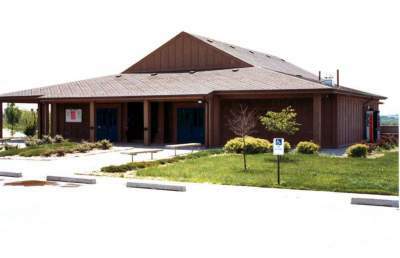 Some personnel changes were made to both the cast and staff, due to graduations and relocations. 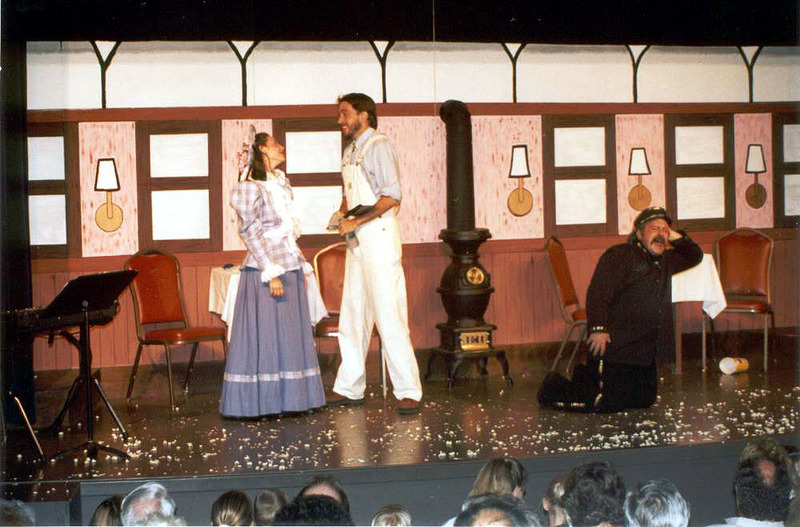 The plays selected for production were old standard, "Foiled by an Innocent Maid" by Fred Carmichael (Publisher, Samuel French). 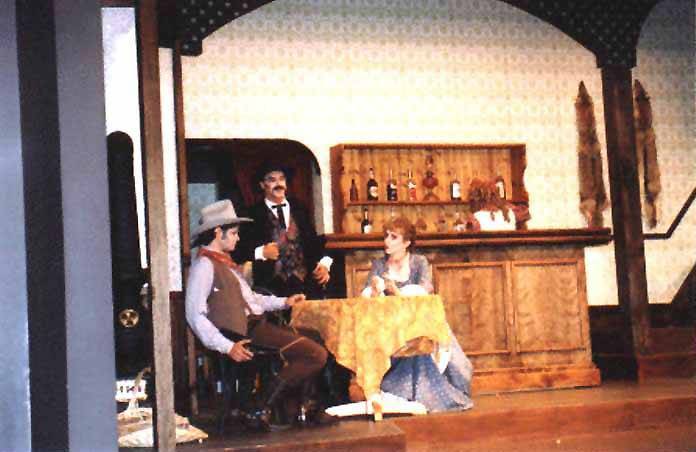 "Whatever Happened to Sweet Mary Rodgers" by local writer D. Chapelle and "Shootout at Sadie's Saloon" by Producer John Burkhart. 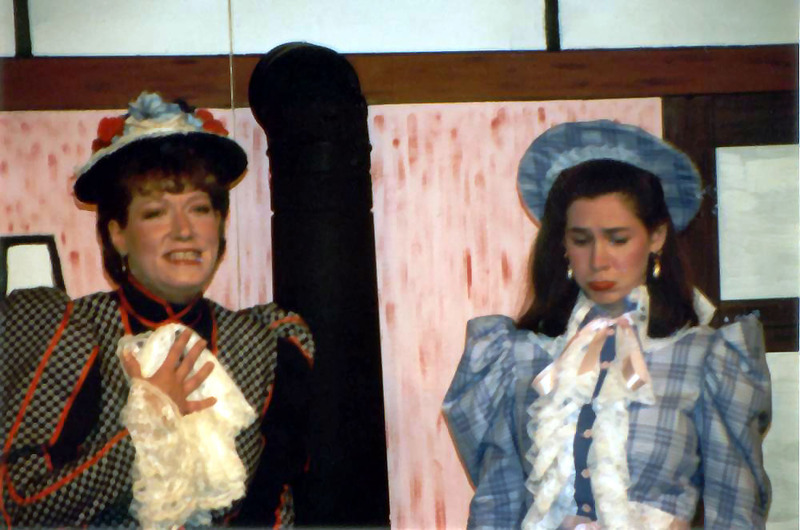 Cast member Shannon Marple became Shannon Marple-Hespe and fellow cast member Jennifer Walker was the maid of honor for the wedding, so Julie Fitzgerald and Coleen Byrd stood in (with distinction) for one weekend. 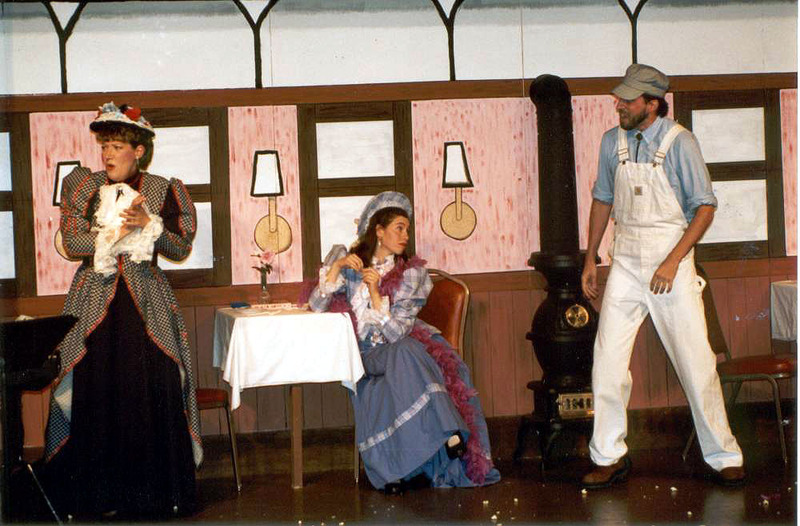 We were contacted by the Fremont Dinner Train about the possibility of providing a melodrama for them. After a series of meetings, it was decided to proceed with a production designed specifically for a moving train! "Railroad to Rack and Ruin" was created by Chapelle and Burkhart, a cast was selected and the show was off and running. After a successful season on the train, there was an unexpected opening at the park for the fall season. 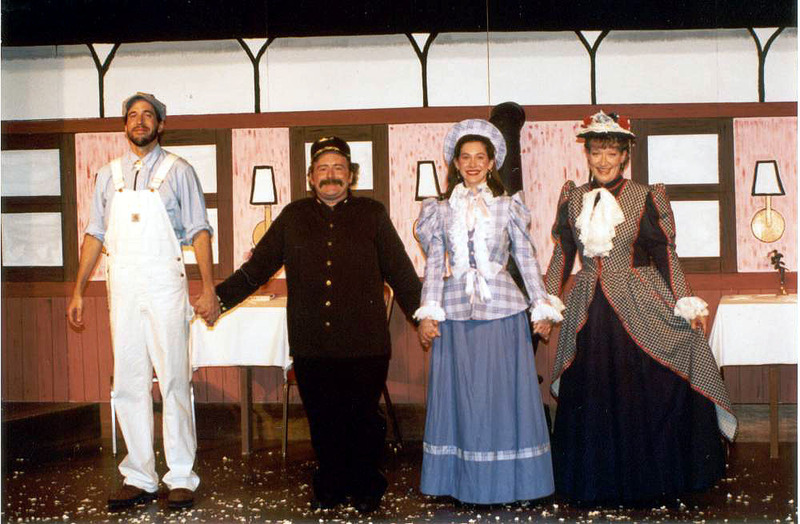 A set was rapidly constructed and the show was re-blocked for the stage (as opposed to the center aisle of a railroad car) and a very successful fall run was completed at the park. 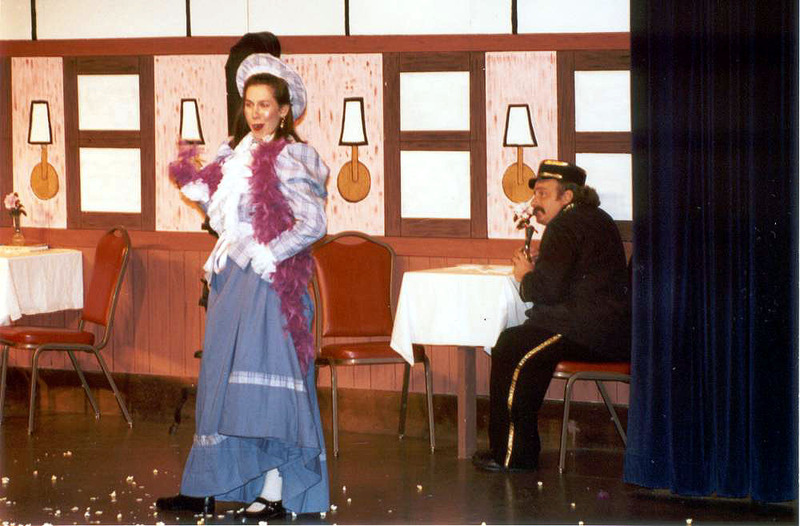 As there was also a need for a show in Lincoln for their "Haymarket Holidays", we decided to test the winter market for a melodrama as well as explore the feasibility of theater in the Lincoln Haymarket. 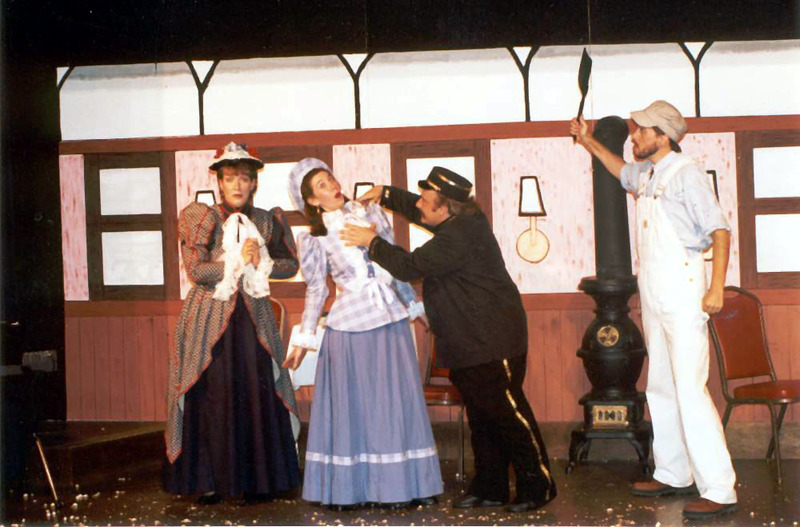 The set from the park was subsequently moved to a leased space in the Haymarket area and "Railroad" was running once again! Thus "Railroad became truly a travelling show!